I am proud to have been endorsed by the Suffield Democratic Town Committee as a candidate for the Planning and Zoning Commission. I have been a member of Suffield’s Planning and Zoning Commission since 2015, moving from an Alternate position to a full seat in early 2017. I was previously the Treasurer for the Suffield Democratic Town Committee from 2015-2017 and have actively been involved with our nominating and executive committees. I was raised in one of the largest farming communities in New York’s Finger Lakes region and continue to advocate to preserve our farms as well as open space. I earned my bachelor’s degree in Communications, with a minor in Political Science, from the State University College of New York at Geneseo. I work in sales and marketing for Johnson & Johnson, the largest healthcare company in the world, partnering with physicians and physician organizations to create healthier outcomes for all patients. My family and I originally moved to Suffield due to its location near Bradley International Airport. We were only supposed to be here for a few years… However, all plans of relocating were put on indefinite hold as we fell in love with the beautiful Main Street Historic District, the rural mountains of West Suffield, the Congamond Lakes, friendly neighbors, and, or course: The annual novelty of tobacco harvest. 17-years later, this is home. In Suffield we have a strong sense of place and zoning laws which help to preserve a small-town feel while growing our business community. Why Am I Running Again? Growing up in a rural community with no zoning laws, I have seen first hand what a lack of strategic planning looks like: Used cars for sale leaking oil and deteriorating up a hill side; A business dropped directly behind a residential area; crumbling and abandoned houses. In Suffield we have strong zoning laws but we must work with our farmers, home and business owners to preserve the sense of “place” which is important to all of us. Development of Four Season Hydroponic Farms, retaining farm land for farm use, and bringing jobs to Suffield. Broad Brook Brewery’s purchase of land on Rte 75 to build a new home base in Suffield. Further development of a long-term master plan to identify an overall growth strategy that fits the needs of our town. 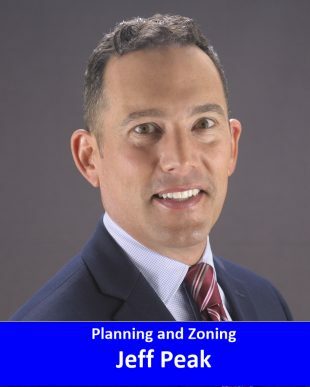 More transparency regarding current Planning and Zoning laws and decisions, and helping the community understand more of what PZC does and how we do it. I encourage all citizens to ask questions, attend meetings and get involved! If you have questions or suggestions for me about my current role on Suffield’s Planning and Zoning Commission, please contact me. Thank you or your support!